It’s a good time to be in the automotive industry on all ends of the spectrum. The wizardry behind the conception of some of the most powerful vehicles to come off of a manufacturer assembly line more than enough to convince skeptical members that we are living in an automotive golden age. Moreover, being able to legally drive vehicles packed with monumental horsepower figures is equally as astonishing. Many vehicle manufacturers have played a slightly different tone when it comes to packing in the horsepower. Lexus, for one, has taken a methodical approach to their endeavor into luxury performance, and the all-new GS F is an admirable effort in their carefully-planned journey. 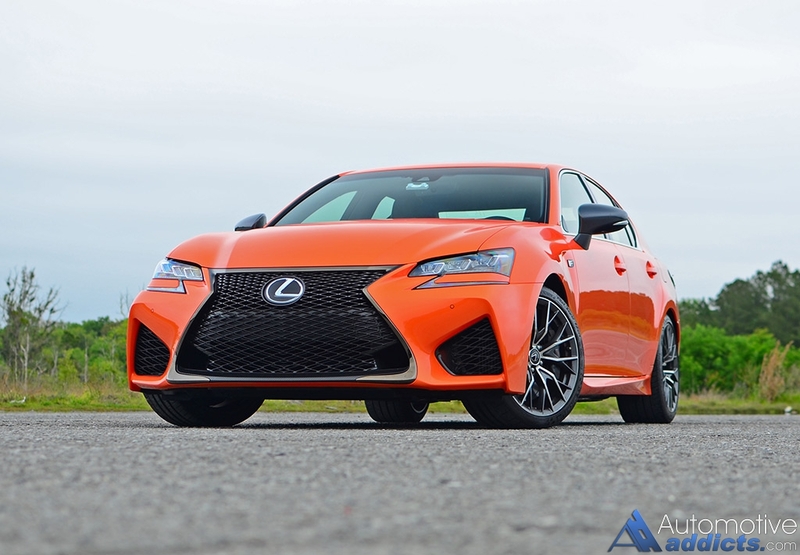 With plenty of goods to appease demanding automotive enthusiasts, the new 2016 Lexus GS F embellishes on a rarity within the segment of luxury performance, and that is a naturally aspirated V8 engine. In keeping an old performance tradition alive, Lexus brings their 5-liter V8 engine to the table once again after it made its latest entry with the unique RC F coupe. 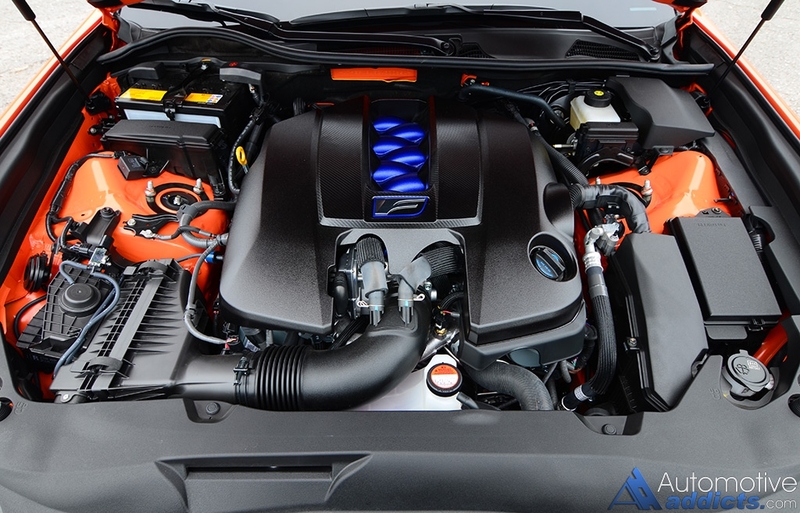 In the new GS F the high-compression (12.3.1) 5.0-liter V8 pumps out the same power numbers of 467 horsepower and 389 lb-ft of torque. 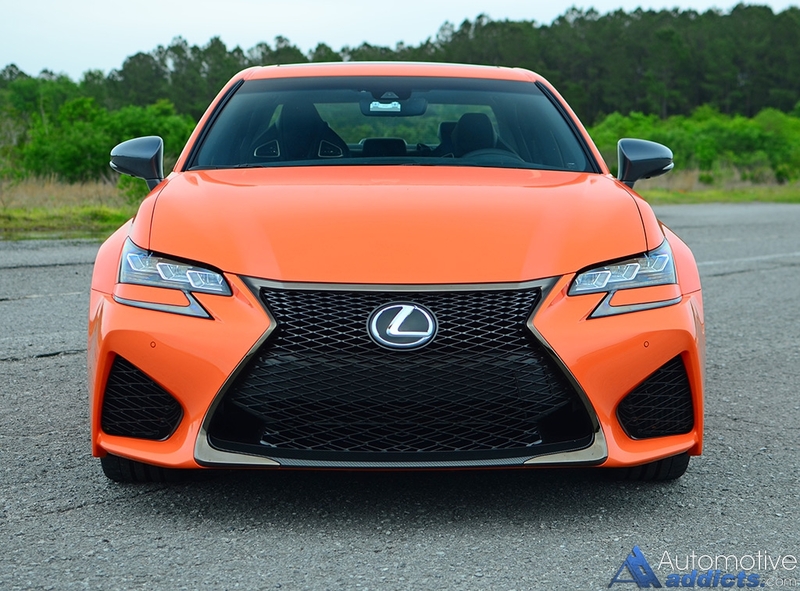 The naturally-aspirated V8 also gets the same 8-speed automatic transmission from the RC F making a delightful combination on public streets and twisty canyon roads. The GS F, much like its not-so-distant RC F coupe sibling, also gets the Torque Vectoring Differential (TVD), but as standard equipment. The TVD electronically manages power distribution at the two rear wheels in a pre-set fashion dependent on the setting you choose, normal, slalom, or track modes. To divulge what the new Lexus GS F is all about in the performance department, I would go as far as to say it is a silk-laced diamond. Yes, it’s that good – nearly perfect for the street if it was not for the BMW M5, Cadillac CTS-V and Mercedes-AMG E63. In a perfect world where the M5, CTS-V, and E63 didn’t exist, the Lexus GS F would be king of the luxury performance sedan hill. 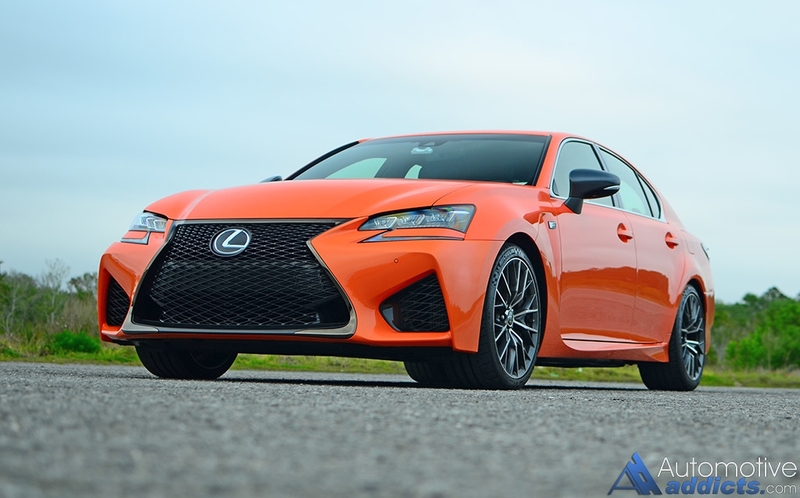 Unfortunately, the reality of our current world tells us that the GS F is down on quite a bit of power compared to the 600-hp M3, 577-hp E63s, and 640-hp CTS-V. 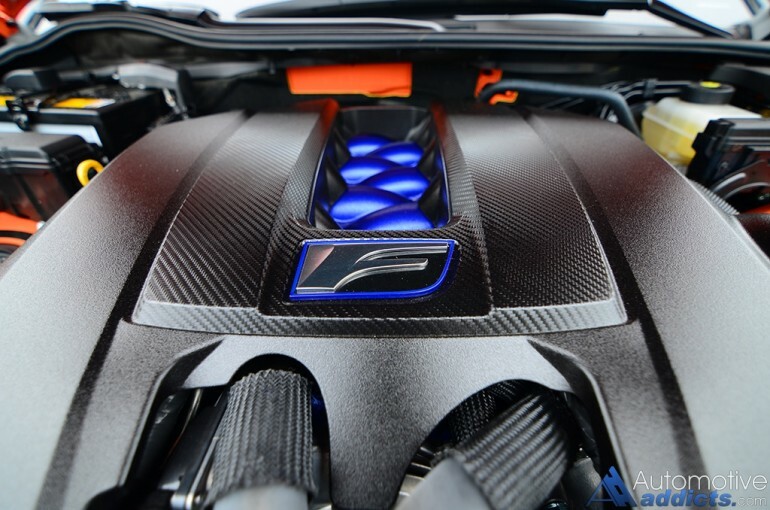 In my forgoing and obvious defense of the GS F, horsepower isn’t everything. Sure, you’ve heard that a million times from the peanut gallery. We’re not planters – surprise, the GS F can handle its own. What I mean in that is just what it says. 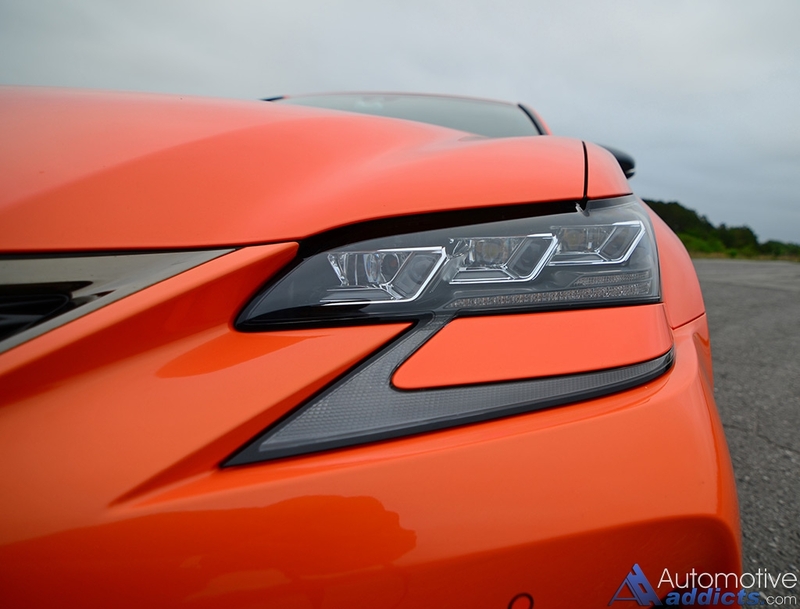 The GS F can get up to 60 mph in 4.5 seconds and as quick as 4.4 seconds according to various automotive publications. It’s good for reaching and holding its top speed of 168 mph without a hiccup, and it has a chassis as rigid as any other with enough balance to toss it around a track to perform rookie-inspired drifts all day long. Just like its RC F stablemate, the GS F is better suited on local streets, highways, and canyon roads than at your local track. Of course, most of that statement is because there is, once again, the BMW M5, CTS-V and E63 lurking amidst what would otherwise be an easy win for the GS F in its realm of luxury performance sedans. Fun ensues when pushing the GS F with a feeling that it could easily handle another 100 to 150 horsepower in its chassis that is as equally rigid as its thickly-bolstered sports seats up front. Use of the steering wheel shift paddles while in Sport S+ mode and the Expert stability and traction control program set permit a good amount of “clean” fun. The rear end slides out without unwanted drama, provided you keep its 4,000 pounds in check by clever steering and throttle inputs. Oversteer comes on subtle but can be a booger when both wheels are locked by the Torque Vectoring Differential in its Track mode setting and your right foot is on the heavy side. 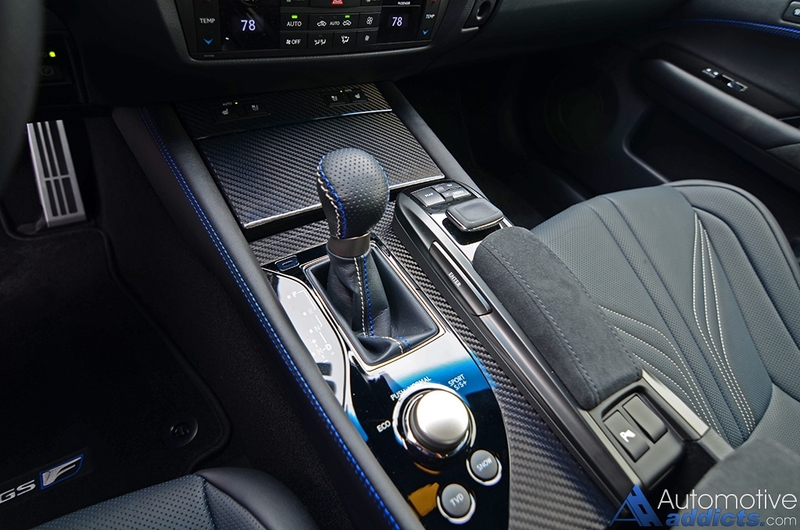 Most of what the GS F inspires to is nothing more than the best of what Lexus engineers can conjure up to quickly lap the Fuji circuit in leather-laced luxury. If there was “more warp speed,” the GS F would be deserving of a fair chance to battle with the M5, CTS-V and E63 with no problem at all. 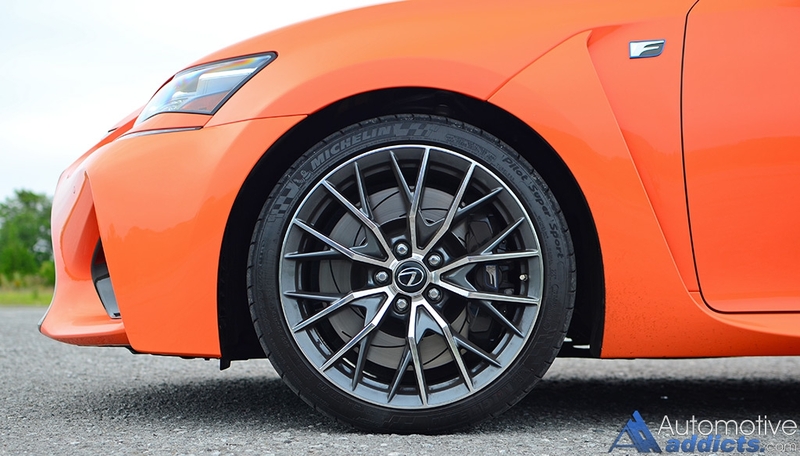 Nevertheless, the GS F hangs well-endowed through its surprising lateral abilities taxing its 275/35/R19-inch Michelin Pilot Super Sport tires out back and 255/35/R19’s up front with a feeling that your piloting a 4-door luxury sedan that weighs 1,000 pounds less than it is. Bringing everything to a halt is done in consistent and assuring fashion by way of its large Brembo brakes, 14.9-inch slotted rotors clamped by 6-piston calipers up front and 4-piston rears biting down on 13.5-inch slotted rotors. 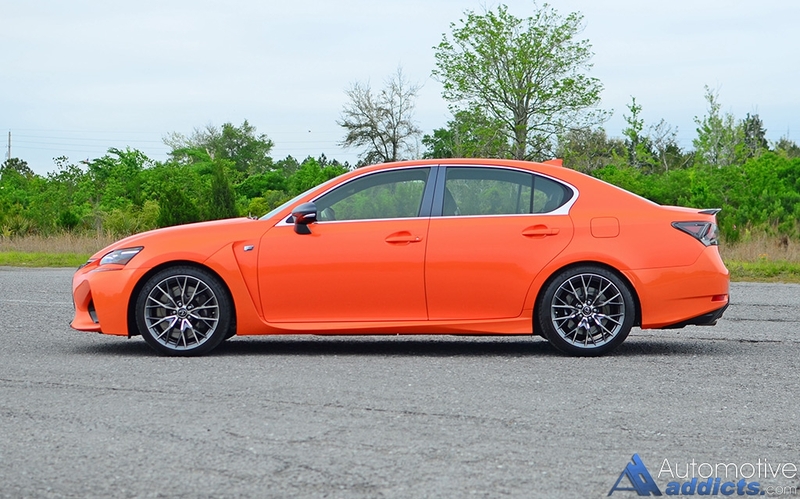 Use of the Lexus GS F’s performance in a way that enthusiasts want it required generous amounts of premium fuel. I found the GS F to be quite thirsty getting about 17.9 mpg on average with mixed city and highway driving. The best mpg figures I saw were about 22.4 mpg on the highway seldom hitting 25 mpg. In that, the EPA estimates of 16 mpg city and 24 mpg highway are attainable but it usually requires thoughtful and Eco-mode inspired driving. Bottom line, the GS F is as far as the Toyota/Lexus brand gets from the Prius without going to a Toyota truck or full-size SUV. 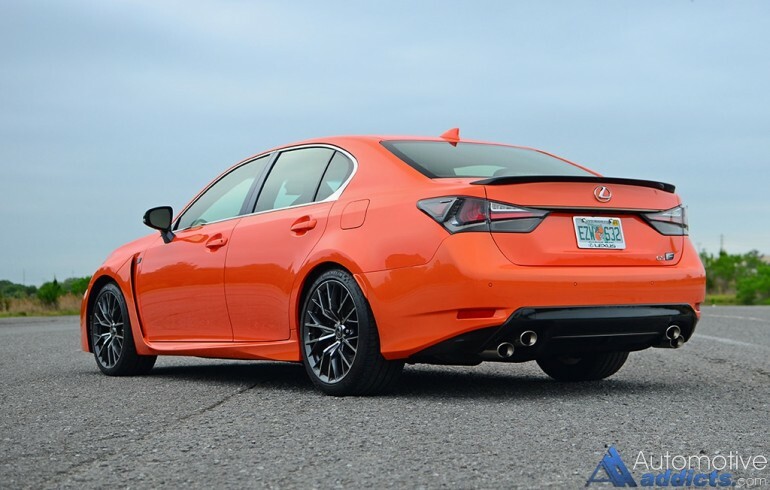 Taking a break from what the GS F is inspired to be – a capable luxury performance sedan through and through – the GS F is still and Lexus and in that it has expected fit and finish and build quality that will potentially outlast any track-battered M5 or E63 in existence. The concept of a naturally aspirated V8 pays its dividends in the natural soundtrack that it emits upon aggressive throttle inputs. The Intake manifold starts with a howl followed up with a purring exhaust growl and subtle V8 burbles. 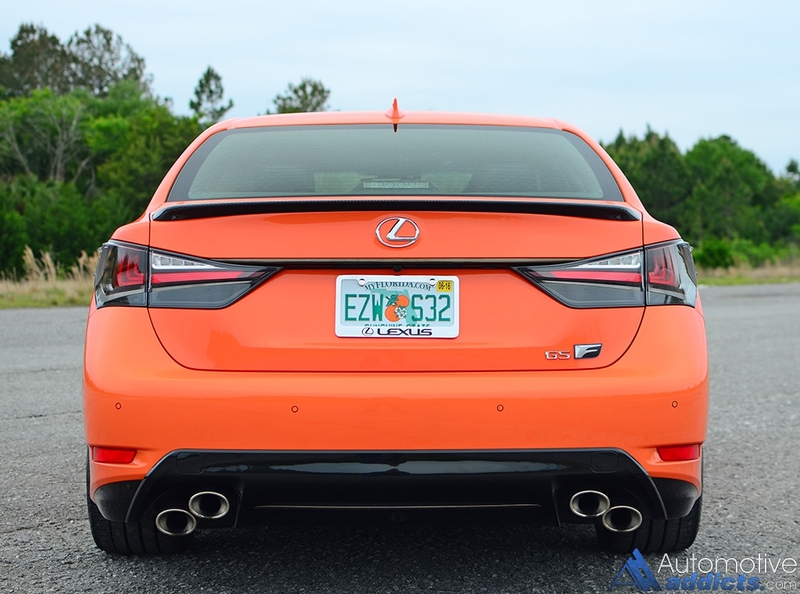 As the GS F is still a Lexus, those sounds are confined to a pleasurable tone that titillates your hearing senses with a deep bass at the tap of the throttle – but nothing to worry neighbors in your gated community, at least not as much as the Molten Peal paint job does. It would have been even nicer to open up the baffles a bit more apart from the little gesture provided by Sport S+ mode. 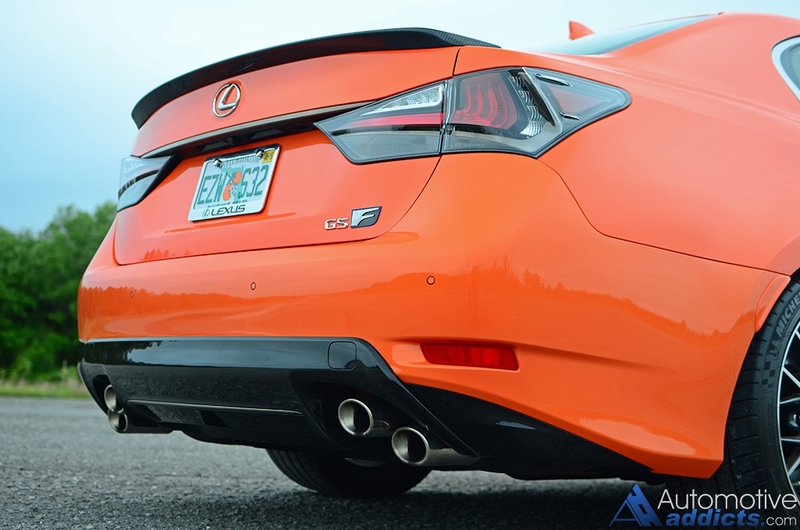 I have no doubt the GS F would be an excellent ear-plugging machine with a nice aftermarket catback exhaust. Much of what you get in a top-trimmed Lexus GS 350 F Sport is captured in the new GS F’s interior only dialed up another notch. 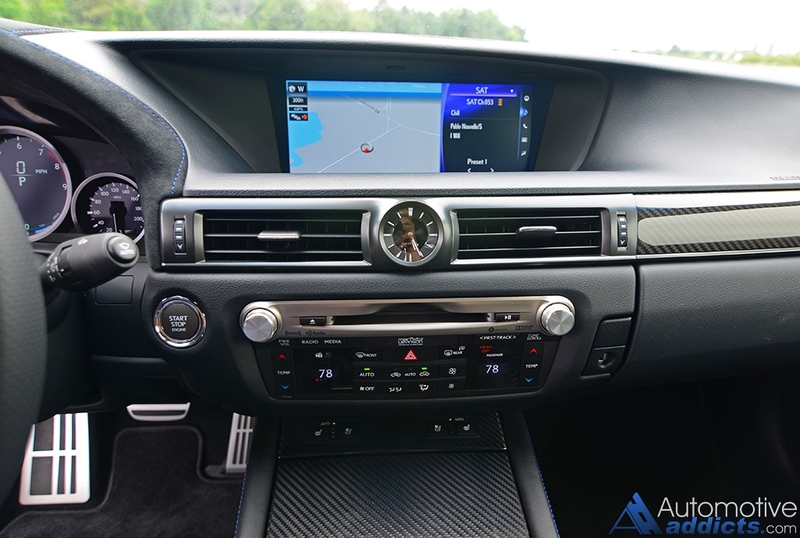 The dashboard is comprised of mostly soft-touch surfaces with an exclusive-to-F-vehicles blue-stitched Alcantra inlays, which are also found on the door trim and center armrest. 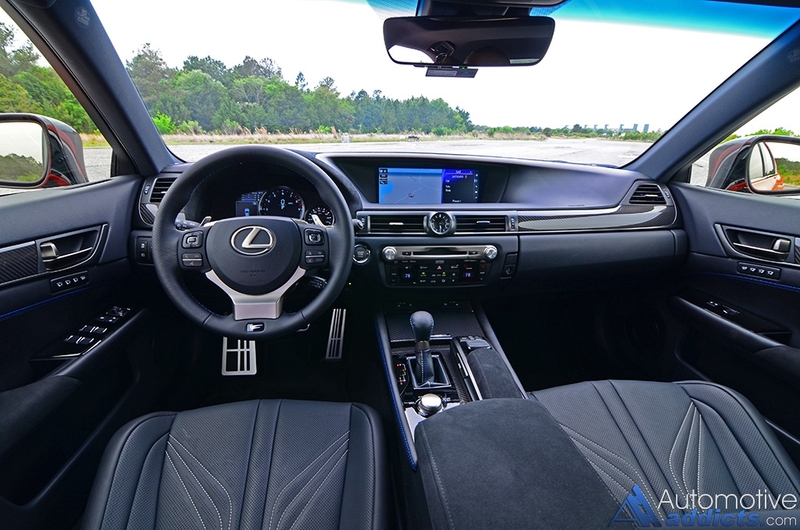 While the appeal of the dark Alcantra may get a bit lost in translation of the dark-colored perforated and ultra-supportive sports seats, the carbon fiber trim accents and white-blue stitching throughout adds a sporty appeal not to diminish its true-to-Lexus luxury idiosyncrasies. I found the interior of the new GS F to be the perfect atmosphere to match its performance-inspired driving qualities. 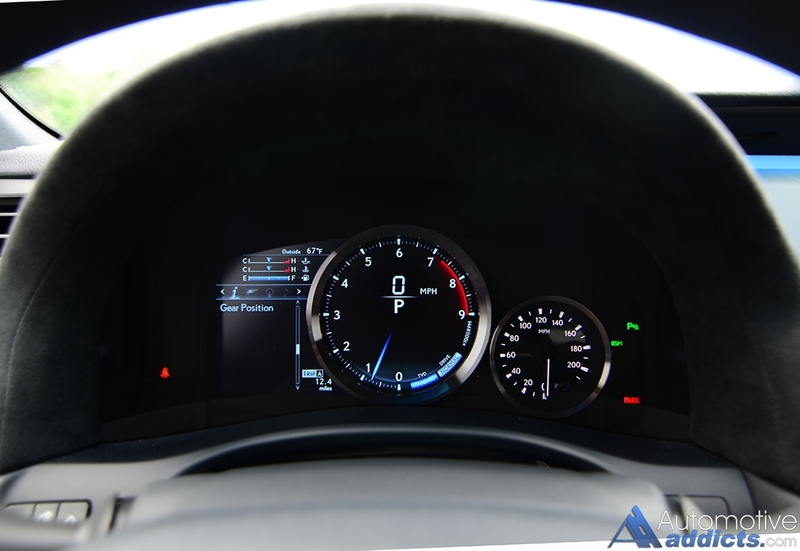 The exclusive driver’s gauge cluster was a page taken from its RC F sibling and not-so-distant LFA supercar. 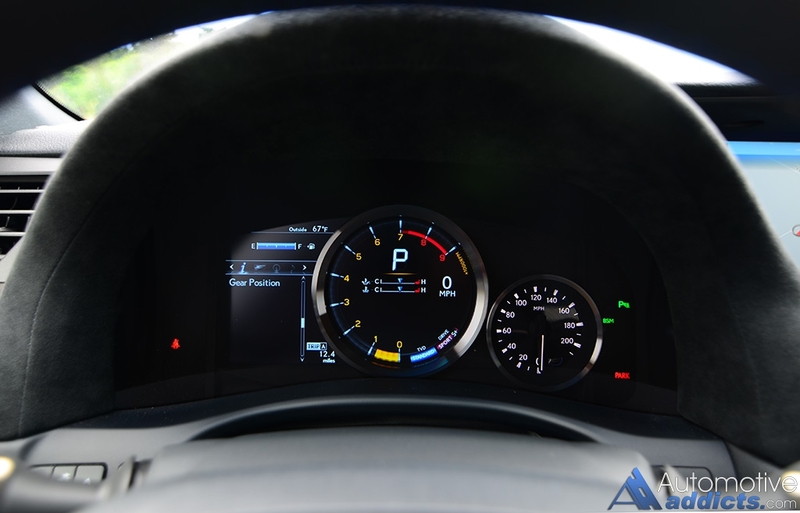 The display gets more colorful through each Drive Select Mode, which each have unique graphics for the central digitized RPM gauge. The ample adjustability of the 10-way power driver’s seats (w/lumbar adjustment) and 8-way power passenger’s seat adds versatility to wrap adults of just about any size perfectly in preparation for a luxurious thrill ride. Out back, the rear seating is manageable but can be cut short of leg room quickly if the front seat is pushed far back. 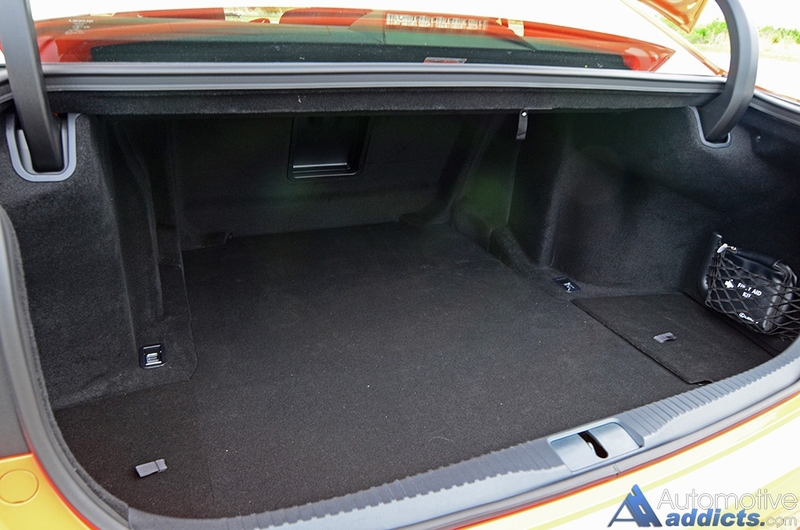 Use of a truck pass-through via the rear center armrest and cup holder pod makes for convenient use for storage, as does the 60/40-split rear seatbacks to add to the standard 14 cubic feet of space in the trunk. Lexus didn’t miss many steps with the inclusion of their highest performing vehicles being the GS F and RC F coupe. Though, apart from its horsepower and torque output figures being much lower than its direct competition, it makes due with a plethora of feature sets and amenities to add to its value composition. In such a department, the GS F comes out of the box with a relatively long list of luxury appointments and highly desirable features, such as ventilated and heated front seats, dual-zone auto climate control, adaptive cruise control, lane departure alert w/steering assist, blind spot monitors, pedestrian detection, LED headlamps w/ automatic high beam, auto dimming interior and power folding exterior rearview mirrors, Brembo brakes, Torque Vectoring Differential, rain-sensing wipers, power tilt/slide moonroof, carbon fiber spoiler, 12.3-inch infotainment system display w/Lexus’ familiar but quirky remote touch interface, and a 17-speaker and 835-watt Mark Levinson audio system as the only installed option on my test vehicle. EPA cargo volume: 14.0 cu.ft.